The Royal Reef Resort is an exclusive resort consisting of luxury two bedroom villas situated directly on the sparkling white beach. Each of the 80 luxury villas offer a view of the bay and a Caribbean experience that can only be realized at the Grand Cayman's First Five Star Resort. 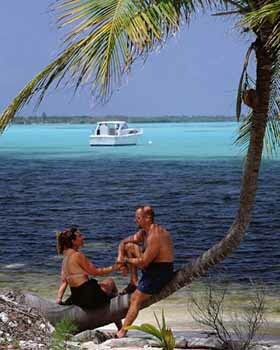 The Royal Reef is located in Colliers Bay on the East End District of Grand Cayman. The Royal Reef is a joint venture between the The Royal Resorts of Cancun, Mexico and one of the most established and well-respected developers in the Cayman Islands, The Thompson Group. The villas are truly luxurious and offer carefree indulgence of the lifestyle of the rich and famous of the Caribbean. The 80 fantastic villas are situated on 1,450 feet of pristine beach. 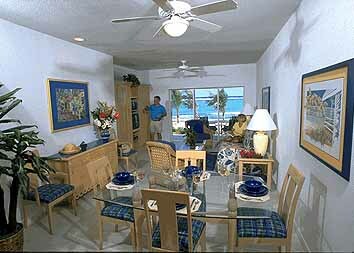 The villas each have two bedrooms, two baths, full kitchens and sliding glass doors leading directly to the beach. The villas use the Flexi-Villa concept, which allows the villa to be divided into two independent units; a room with a private bathroom and terrace and a suite with a bedroom, bathroom, kitchen, living and dining areas and terrace. The Royal Reef offers a variety of on-site amenities including a spectacular beachfront restaurant. There are special theme nights at the Castaways and outdoor celebrations. The Royal Reef is a city within a city. The olympic pool is only steps from your front door and is graced with a swim-up bar. There are gym facilities, a convenience store, renowned massage facilities, water sports and dive shop and lighted tennis courts. The Cayman Islands are among the most highly demanded resort destinations in the Caribbean. 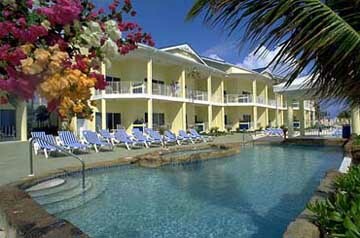 The Royal Reef Resort offers the world of unmatched deep sea fishing, scuba diving and snorkeling nearby. Whether you are a beach lover, a nature enthusiast, a golf or tennis enthusiast - the villas of the Royal Reef Resort or situated for your pure pleasure and enjoyment. The Cayman Islands are among the most highly demanded resort destinations in the Interval International exchange network. The Royal Reef is a joint venture with The Royal Resorts of Cancun, Mexico. This addition to the Royal Reef family will substantially benefit our members who will enjoy inter-resort exchange privileges between Cancun and Grand Cayman.